Last week was the 27th Google Firestarters and we were fortunate enough to have as our only speaker someone who I've been wanting to have speak for a good while - Simon Wardley. At Firestarters we always try and vary our themes and speakers to incorporate the most provocative and interesting viewpoints from within the industry alongside genuinely challenging and useful perspectives from outside (Cory Doctorow, Tim Harford, Emily Webber and Kirby Ferguson are all examples of that outside perspective from previous events). Simon is a brilliant technology strategist, renowned for his work on situational awareness, helping governments and global organisations anticipate change and understand the patterns which govern markets. He has a uniquely insightful perspective on how to navigate technological change and his talk was a ninety-miles-an-hour insight-fest that was rich with ideas, models and useful thinking. Using the example of a game of chess, he described how the why of purpose may be to win, but it is movement that gives us learning, and a good understanding of our current context and position that allows us to apply that learning effectively. Hundreds of years ago, he said, Vikings would navigate by telling stories. Any half-decent military strategy has a good foundation formed by observation, an understanding of your context and position (your anchor), and therefore movement and the learning that comes from that movement. Most systems maps, business process maps, 'digital maps', and mind maps are not maps at all since whilst they may be visual, they have no representation of position or movement. It is the combination of strategy with execution, not either in isolation. Value chains can be mapped against this evolution to show position and movement. 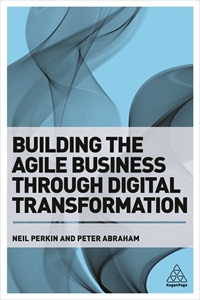 As we move from uncertainty to ordered, stable and known, the processes and approaches that are most applicable change - agile and in-house for unknown, uncertain environments (focused on reducing the cost of change), through Lean and off-the-shelf products (focused on learning and removing waste), ultimately to six-sigma and outsourcing for known, stable, highly commoditised environments (focused on reducing deviation) - if you're interested I've written more about this idea here. Past success, says Simon, breeds inertia - so Blockbuster developed video streaming before Netflix but it was their addiction to late fees that created inertia. From climate we develop doctrine, or universally applicable principles regardless of context - like focus on user needs, remove duplication, build in flexibility, no one size (or process) fits all so use appropriate methods depending on context, use small teams, think aptitude and attitude (I'm a fan, for example, of his thinking around pioneers, settlers and town planners). Doctrine leads, in our strategy cycle, to leadership or deciding, or context specific forms of gameplay like where we invest, what we make open-source, and so on. And then we act. 'Crossing the river by feeling the stones' (a phrase coined by Deng Xiaoping) means that as we move forwards into uncertainty we need to stay grounded, and feel our way incrementally and always be aware of our position and footing. Simon went on to give us several intriguing examples of the application of his thinking including the evolution of computing from mainframes to servers to cloud to serverless, self-driving cars, china's approach to technology and markets, using weak signals and ecosystem thinking. It was a highly dense talk, rich with enough insights to chew on for a good few months until the next Firestarters and beyond. My thanks to Simon for such amazing inspiration and provocation, to Google as always for hosting, and to those who came on the night and joined in the debate. You can view the Scriberia visualisation of Simon's talk in all it's glory here and don't forget to look out for the next Google Firestarters which will be in June.